Jay covered the plane with the colors I had chosen. 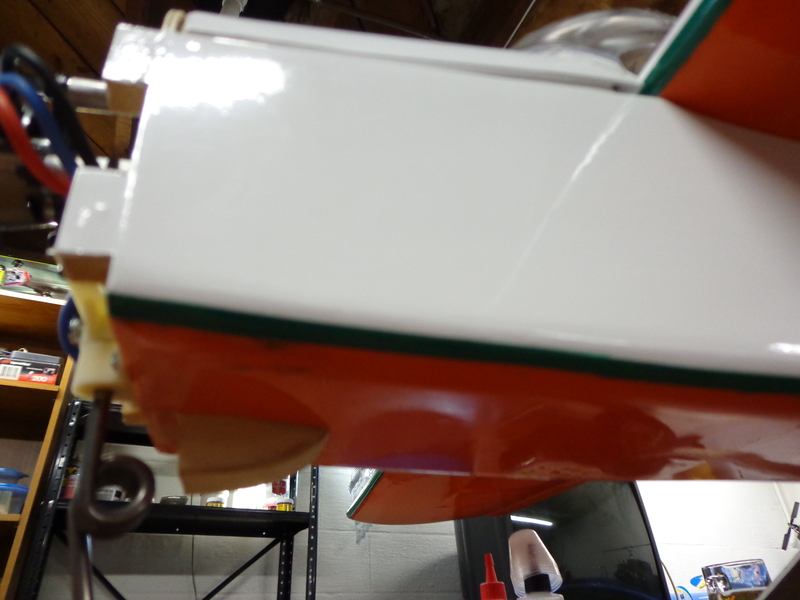 You can see the underside of my wing, in all of its orange glory. 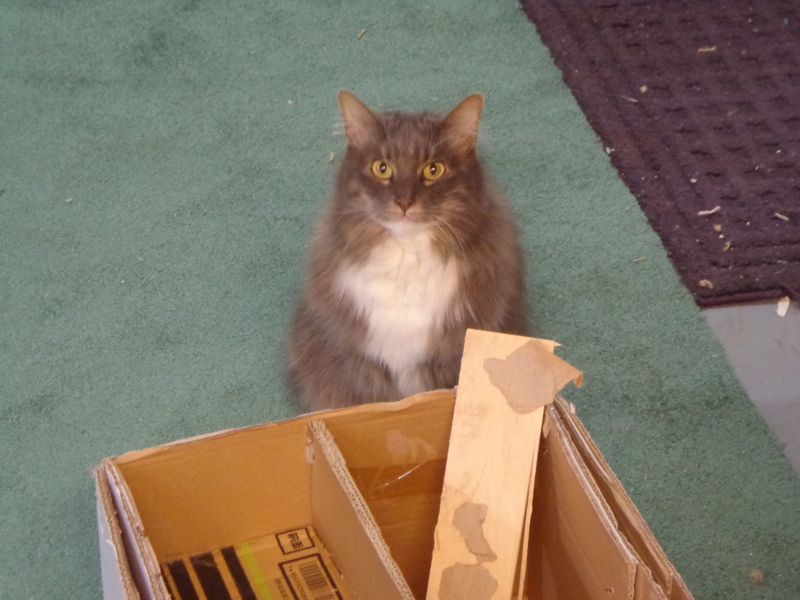 There’s also a green stripe along the leading edge, but it’s difficult to see in this picture. It’s all in white… except for the underside. Jay has never covered a plane with the light color on top and the super-contrasting color on the bottom. I told him that I wanted the orange on the bottom so that no matter what color the sky was behind it I should be able to see its orientation as I’m learning to fly. 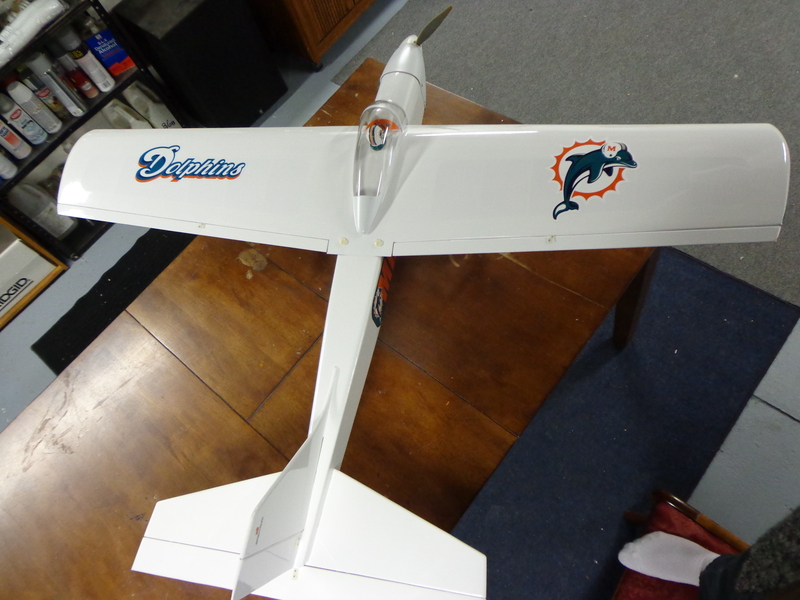 I decided that I wouldn’t be able to cut out the Dolphins logo or name in the exact way that it should be displayed, so we cheated. We went to the local sports fan shop and bought stickers that people usually put on their cars. Are you ready for the unveil?? I did a little happy dance when I saw all of the stickers applied and the nose on it. 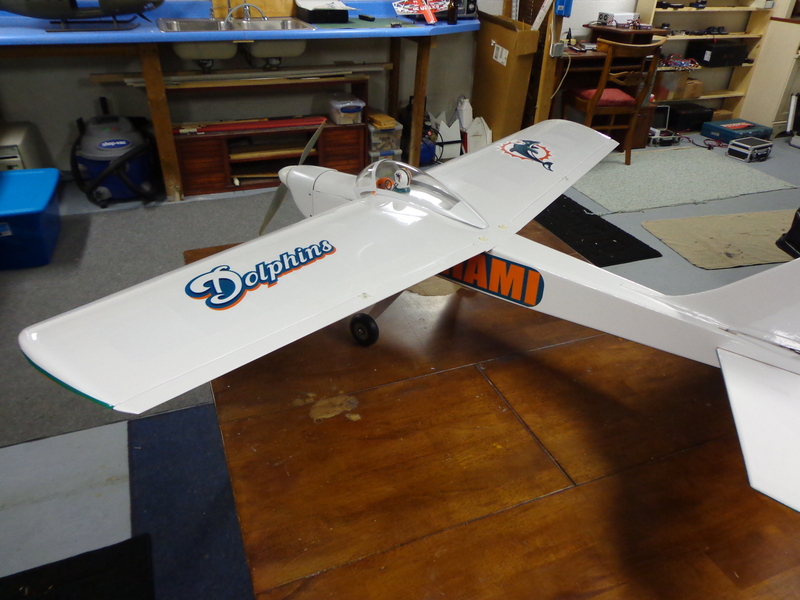 I can’t wait to get it up in the air! 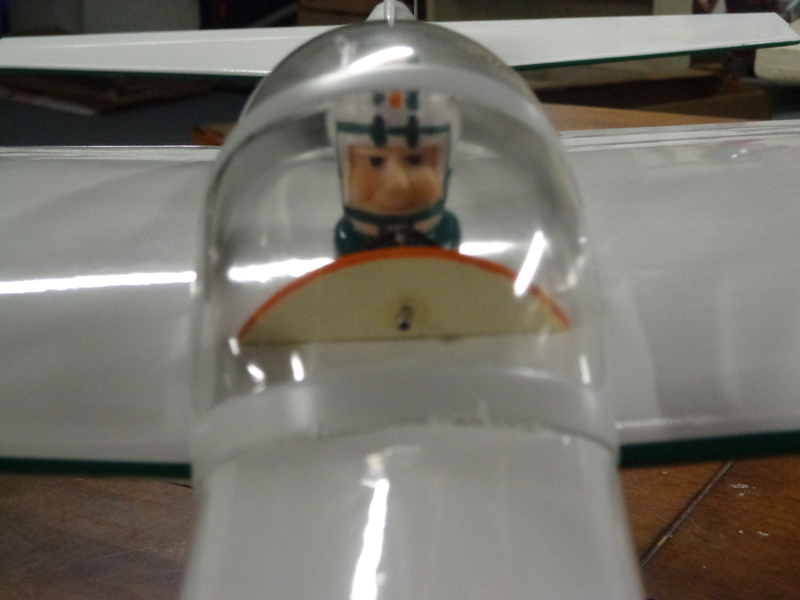 Even the sticker on the fuselage looks good. I’m currently on the search for the perfect material to use for the wheel pants. 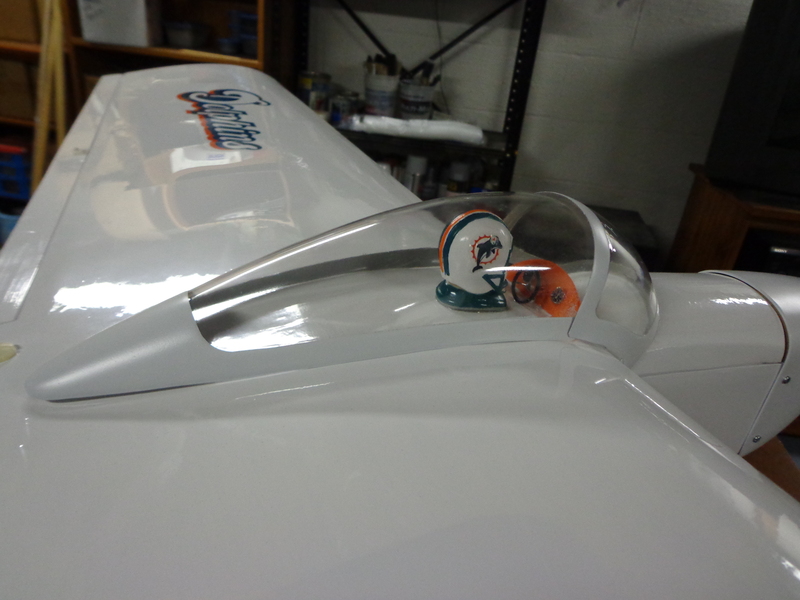 I’m going to make them like the wheel pants on the LT, but they have to go with the theme of the plane. The Kavalier is just about done. 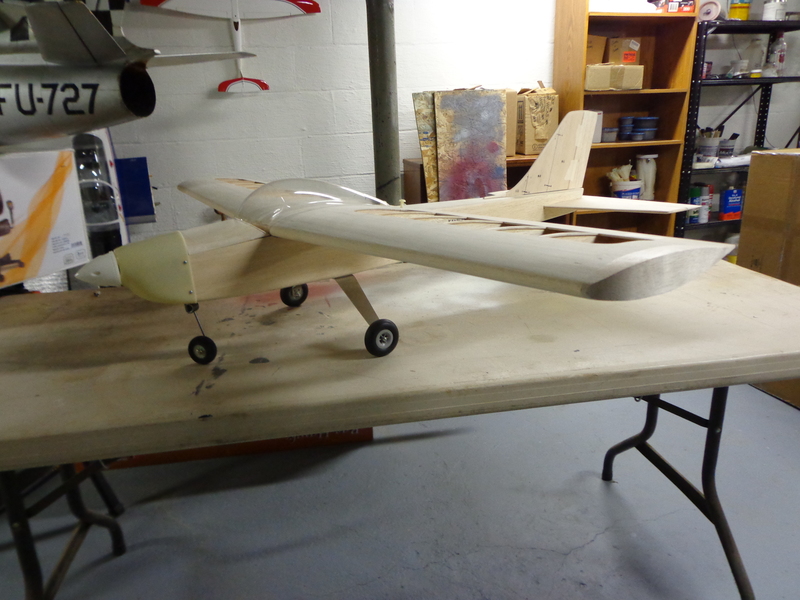 There are a few little details left (like gluing the canopy to the wing), but we could take it out and fly it tonight if we wanted. I’m just so excited! 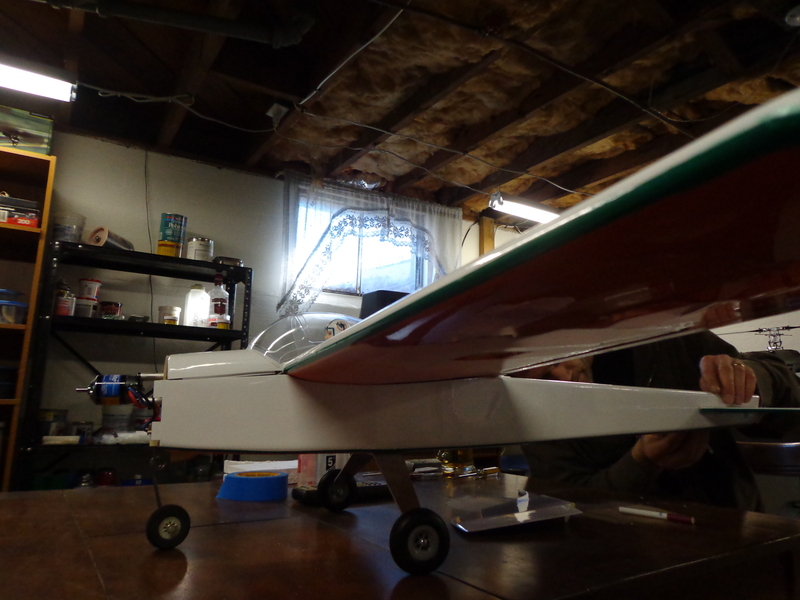 I can’t wait to see it in the air. 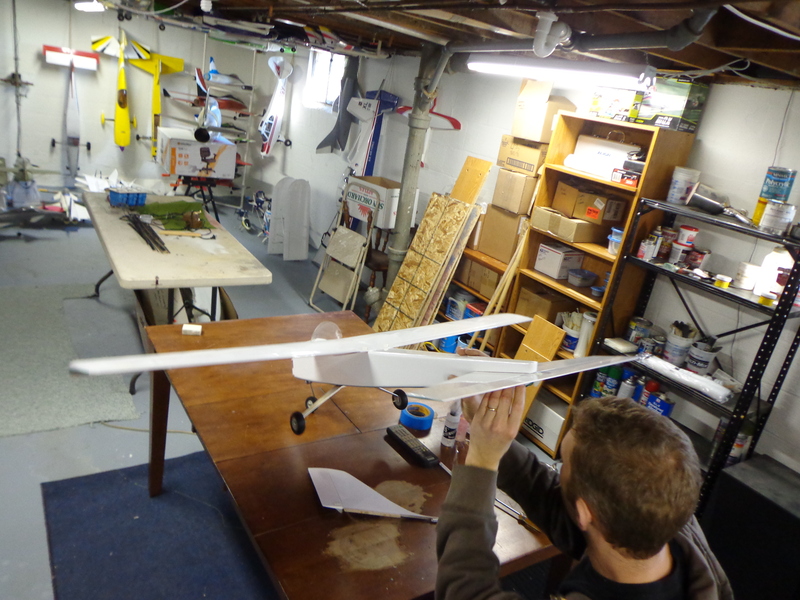 Jay is going to set up a plane on the simulator that will fly in a similar manner to the Kavalier so that I can get used to it before the snow melts and we can actually get up to the field. 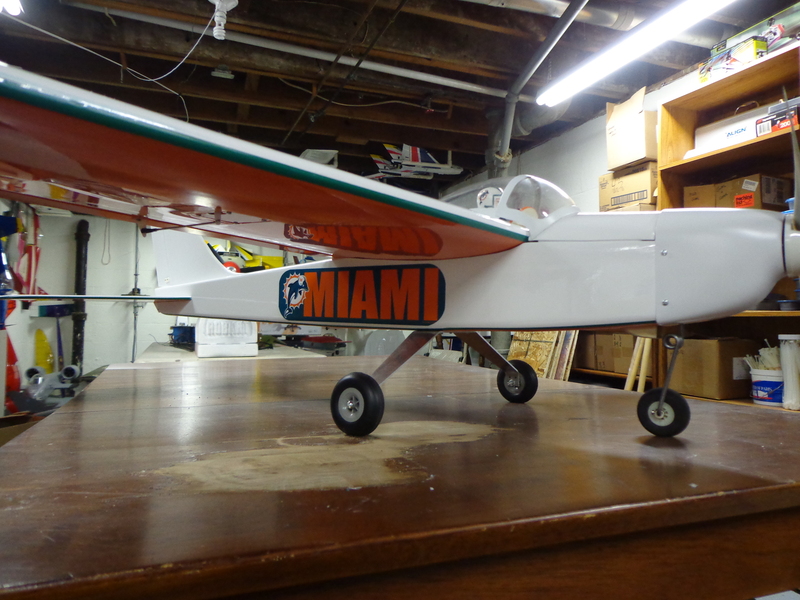 This entry was posted in Miami Dolphins, RC Planes and tagged Kavalier, Miami Dolphins, R/C, RC Planes. Bookmark the permalink.